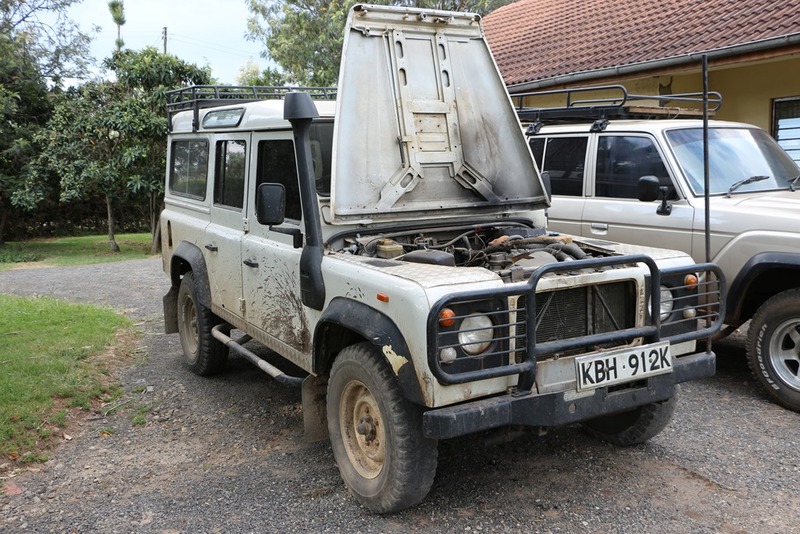 Buying a car in Kenya is no small commitment. It can take months to find the right vehicle. People here are notorious for forgoing maintenance and even more known for covering up the abuse with temporary fixes. Then there is the price. The import taxes can increase the cost of a vehicle by 50% to 100%, and people do not like to admit depreciation. Especially when it comes to 4X4s. The 80 series land cruiser is a tough vehicle. 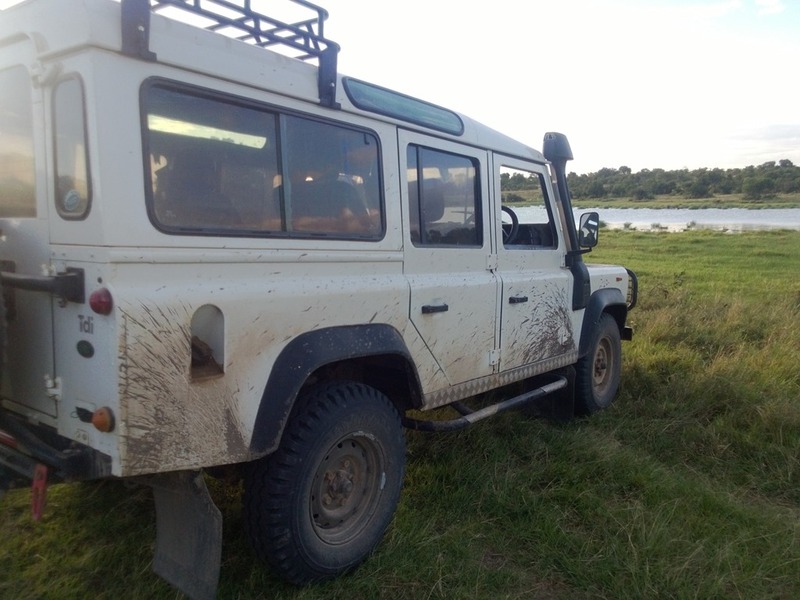 The newer versions tend to be more designed toward comfort on developed roads and fall apart quicker in the bush, making the older 80 series still desirable. A friend of mine is looking at a 1996 with 385,000 km on it and the owner still wants $25,000 US. Yikes! When Abby and I returned in May, we had sold our other vehicle, and it was time to do the vehicle search all over again. I was hoping it would be easier having already bought one car here, but I was sure wrong. 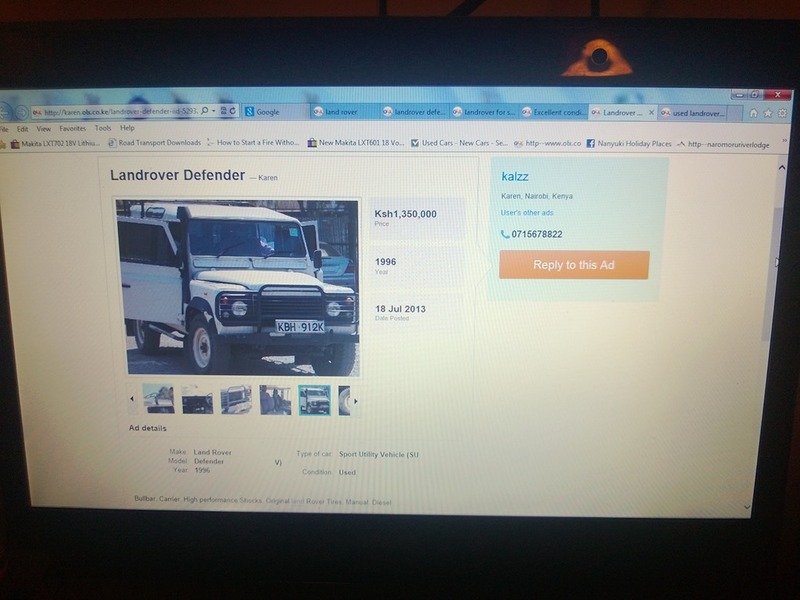 I wanted a land rover defender. They are phenomenal off-road, but also easy to fix. I spent months looking and everything was either too beat up, too expensive, or both. I was feeling the squeeze as August approached knowing that a team was coming to build a church up north, and I needed to go up ahead of time to prepare things. The beginning of August I found a car online that looked promising. It was old, but the owner was claiming good things. 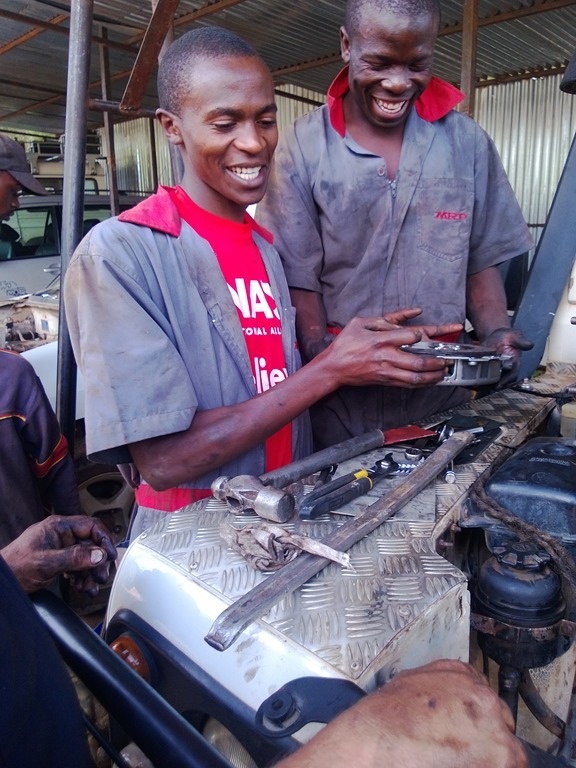 I asked a friend in Nairobi to go check it out with his mechanic before I made the trip and he said things looked good. 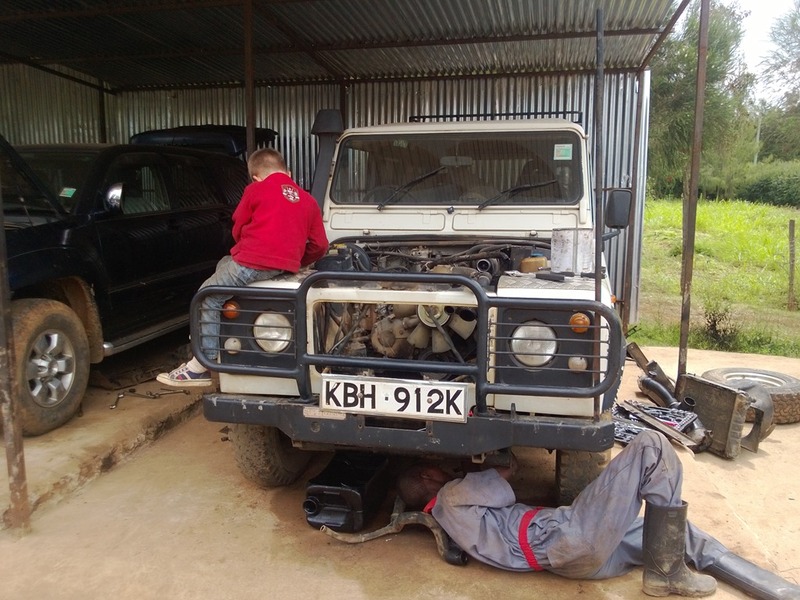 Timing was perfect as another missionary who is also a mechanic and owns multiple defenders was on his way to Nairobi too. We went down together and he helped me look over the car. He gave me a thumbs up and I made an offer. After a bit of negotiating, we were signing papers and I was handing over money. It wasn’t my dream car, but I needed something and it seemed reasonable. I knew that in a few years it would need an overhaul, but it seemed ready to run for a while, while I saved up money to rebuild it. I was wrong. It overheated on a big climb on the way home. Actually, this is known to happen on this hill so it wasn’t too big of a deal. 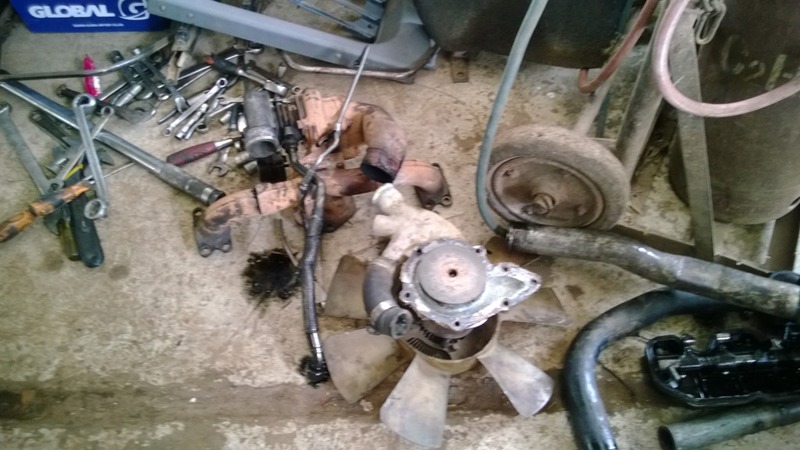 The problem was all the silicon melted out from the owner’s cheap fix and the oil leaks began. They were small and as long as you keep the oil topped up you can go for a ways like this. I wasn’t worried. 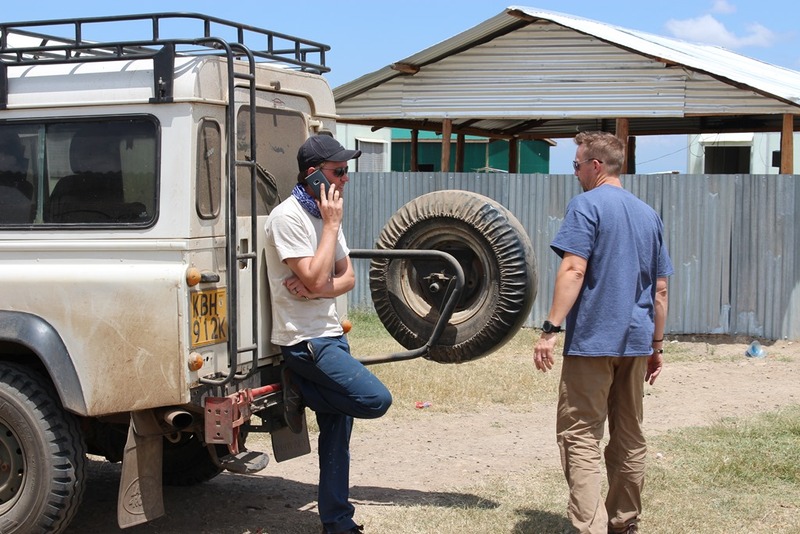 Then I took the vehicle up north to test it and prepare for the team. The first trip I blew 2 cooling hoses. Luckily I had planned ahead and had plenty of water in the car and some tools. The second hose was fixed only because a friend had showed me just the week before how to bypass the line to the heater with a small piece of hose and a stick as a plug. God is good. I did some work on the car and was ready to head up with the team. The power steering went so I just disconnected it. The muffler fell off on a rough area. I had to wait for it to cool and bolt it back in place. Then, halfway through the trip I got a call from Abby. She had a scare in the pregnancy and I decided to go home a day early. The baby would turn out to be fine but my trip home was an adventure. I was driving slowly since I was by myself in a remote area. I had just reached the end of the dirt where the good road begins when I realized I had a problem. Something was banging around. I pulled over to learn that the 4 bolts that hold the alternator in place were gone. 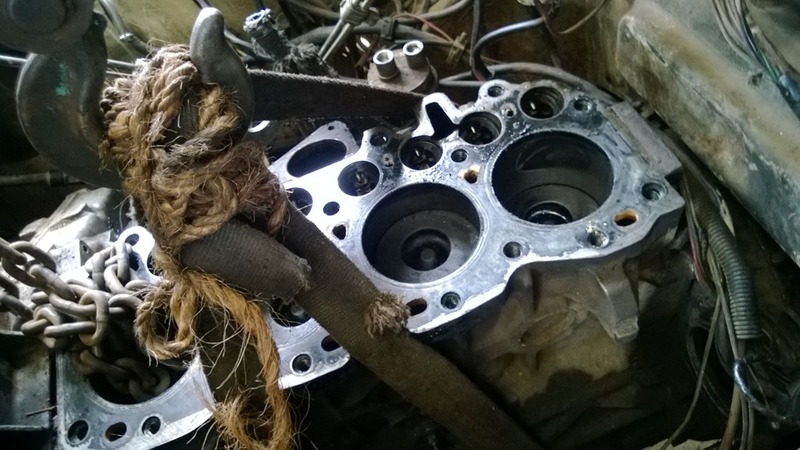 2 had sheared off completely and the other 2 had stripped the threads in the engine block. Some boys on a motorbike stopped to help, but with the sheared ends stuck and the other threads gone there was no way to attach another bolt. I thought about just removing the alternator and continue driving. 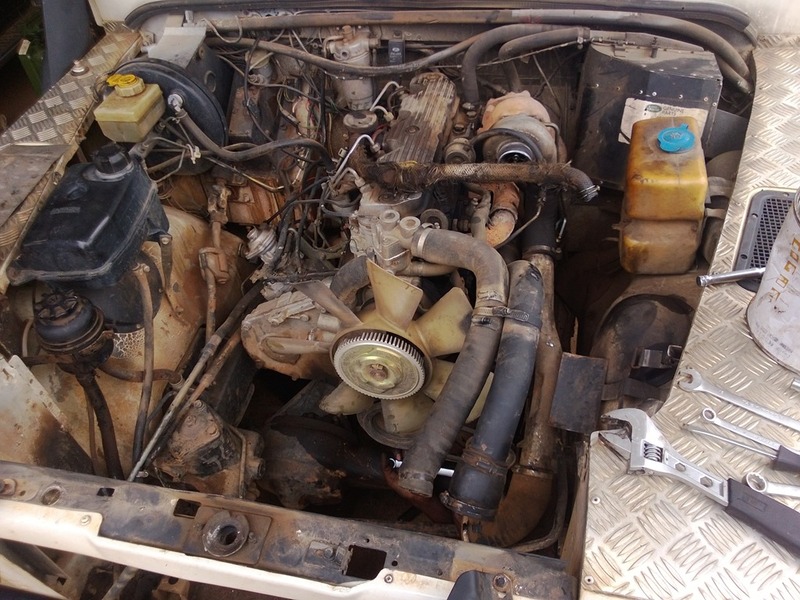 The battery was new and could have made the trip, but the assembly also tensioned the belt for the water pump, which I still needed to cool the engine. I was able to secure it with a few zip ties (I think these little wonders may have just passed duct tape in usefulness). The whole thing was wobbly, but I was hoping it would get me home or at least back to cellphone range and a proper mechanic. I was on good roads but driving slower than ever. To keep a long story short, I did make it home, but the 4 hour trip took over 8 hours and my prayer life had increased tremendously. When I reached home the belt had worn down to a thread. I couldn’t believe I made it. The good thing about a defender is that they just keep going. The bad thing, my truck was done until I could fix it. Besides the alternator mount and power steering being broken, the front end was extremely wobbly, the gearbox was showing its age, and the engine smoke was increasing. I grounded the car till I could get the money to overhaul it completely. The need came years before I was planning. 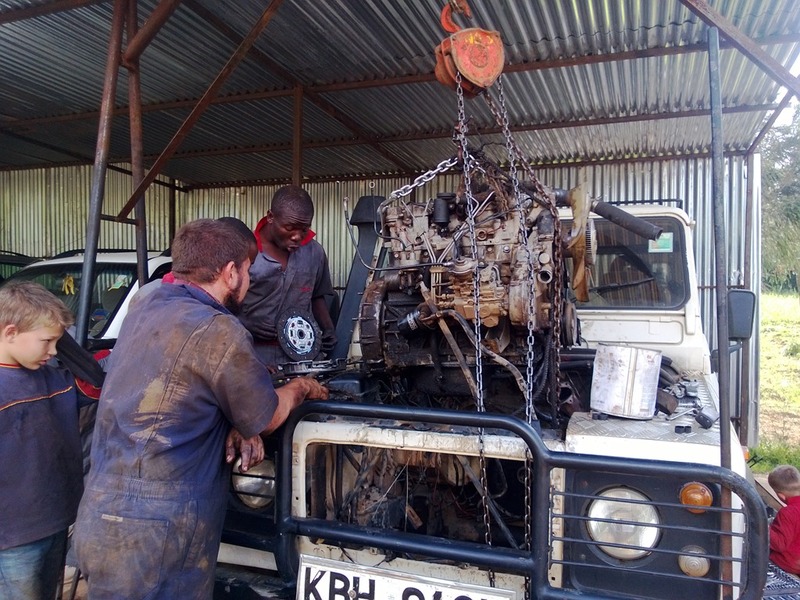 I got the alternator ghetto rigged to make the drive to Nairobi and set off to find a good mechanic to rebuild everything. I wish I could have sold it and moved on, but I had paid double what it was really worth now knowing all the problems. The cheap fixes had fooled 2 mechanics. You just can’t know what a car is made of until you drive it. 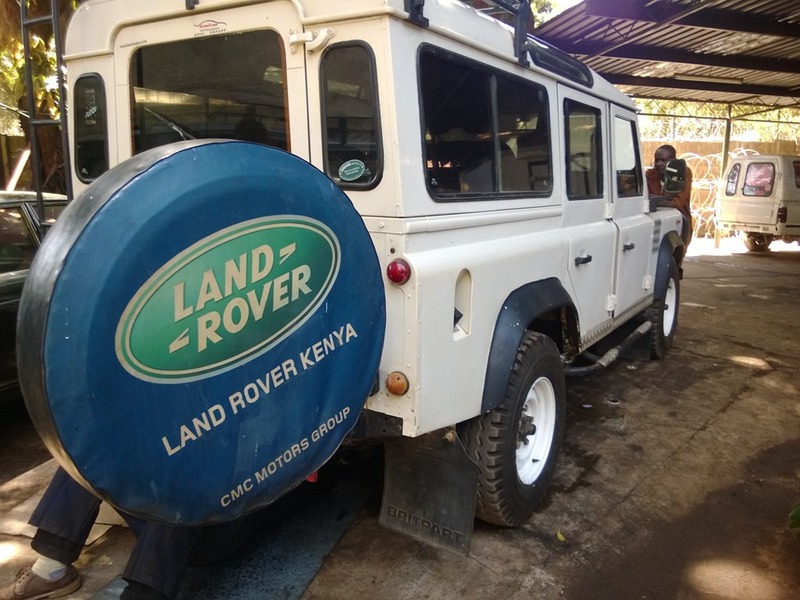 By the time I reached Nairobi, 5th gear had stopped working, and somewhere in the adventures the transfer case imploded and locked the car in permanent differential lock which should only be engaged when off-road. Things were a mess. I need a reliable car so I was looking for a reliable mechanic. The first guy wanted money down before he would give me a quotation. I wanted to know at least a ballpark before I forked over $100, so I walked away. I had another guy one time quote me $13,000 just to rebuild an engine, which should cost $2,500, so I wasn’t going to risk the money and then get an outrageous quote. The second guy, who I know does excellent work wanted 800,000 shillings (just under $10,000) for all the big things and the small things would have likely run a couple thousand dollars more. I liked him but he was too much. I was feeling a bit depressed so I joined a friend to go play volleyball and clear my mind. What I didn’t know was that after volleyball they had a prayer meeting and Bible study. I shared my discouragement and felt revived as people prayed for my need. One young couple even gave $500 toward the repair. Another person recommended a good mechanic for me to visit the next day. I arrived at Tej’s place the next morning unsure what to expect. After going over the car, he said 600,000 (a little over $7,000) and I can sort everything out, big and small things. Normally this would make me nervous being so vague, but the price was reasonable, not too high and not too low, and the recommendations were very strong. He would completely rebuild the engine, gearbox, and transfer case. 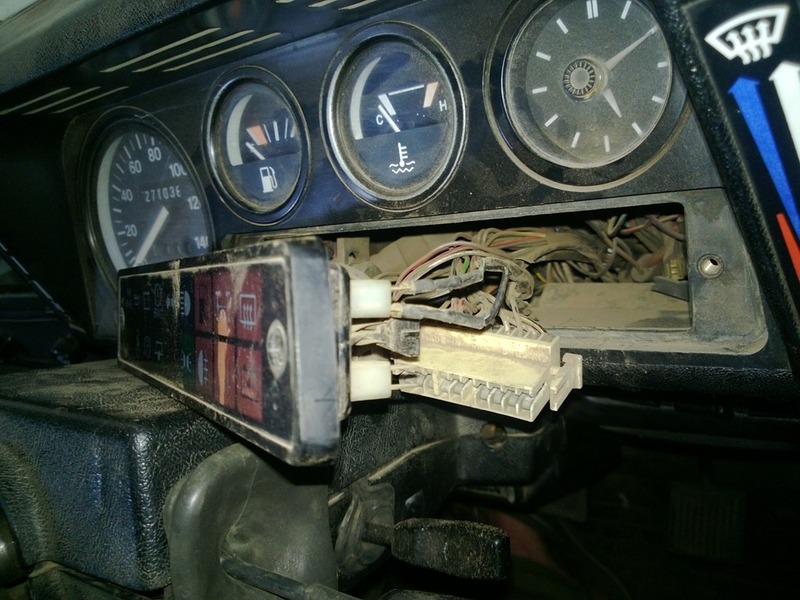 Then there was the wiring to fix so that all the gauges and lights worked and a dozen other small things. We were now into November, which gave him a little over a month before things shut down for Christmas and New Years. I was supposed to have the car for the holidays, but the problems kept on coming. The transfer case was so bad it was completely replaced by one imported from England. The gearbox had to be taken apart half a dozen times and parts were hard to find. The holidays came and gone and the car wasn’t ready until mid January. 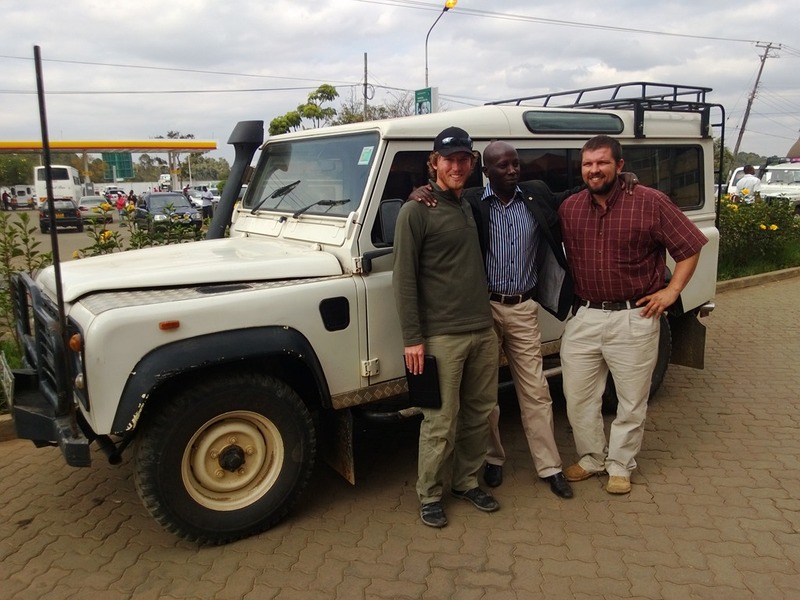 A couple weeks ago some friends were heading to Nairobi, so I tagged along to get the car. They were not quite finished at the mechanics, but I was so hopeful to get it back. I had been wanting to visit our church in Baragoi and had to cancel the trip 3 times because of the delays. It kept seeming like it was ready and then another problem would come up. I just couldn’t keep waiting. I went to drive home Wednesday but there were a few small things to sort so I pushed back to Thursday. Finally, mid-day Thursday I was on my way. It felt like a completely different car. The gear changes were tight and crisp. The engine was running smoothly, and the front end was tracking perfect on the highway. My only concern was the smoke, but they told me it should go down as the engine wore in. Then while climbing the hill halfway home the engine started to overheat. It was heartbreaking, but I decided to turn around. I wanted to get the car perfect, but was hopeful that it might be an easy fix. When I got back, I learned that it was actually the temperature gauge reading off. The “steam” that I saw was actually oil leaking from the turbo (the one the old owner swore was new) onto the hot muffler and burning. This was causing the smoke. I could see there were still more problems to sort. Friday we replaced the temperature gauge. It was still reading hot. The turbo would go eventually but it was still running. Then we noticed a slight leak at the head gasket. 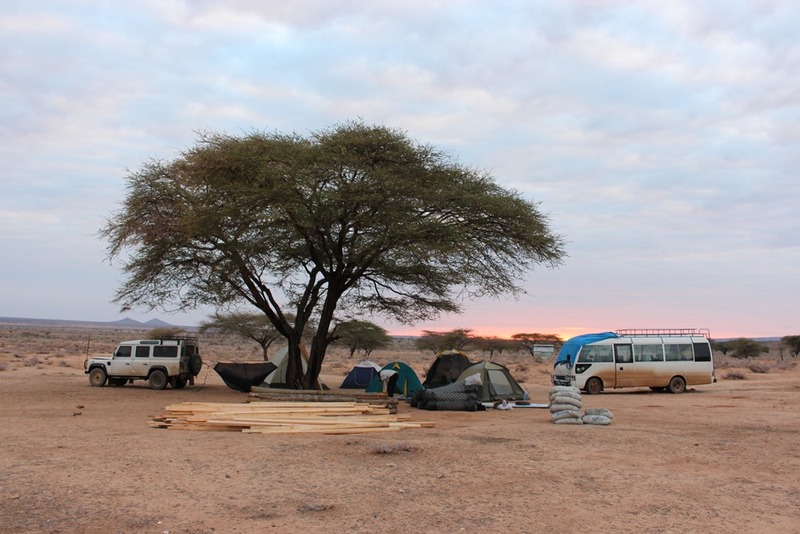 I decided to leave the car to be fine-tuned even though it would mean cancelling a fourth Baragoi trip. It is currently getting a new head put on and the turbo replaced. I can’t imagine anything else that could possibly go wrong. We have decided to go to Baragoi by public transport. We will be more limited on ministry opportunities because we can’t get to the far villages and we’ll have to walk to the closer ones. Also, we wanted to survey some new areas, but there are no public routes so we will wait on these. I want to say thank you to all those who have supported us in this time. At the start, Abby and I had been saving up money for another need, but we decided the car was a bigger priority. Since then, people have given so generously that everything is covered. The repairs will run about $9,000 after the turbo, new head, and a few other extras, but we should have a great reliable vehicle to work with. I wish I could have just had the extra money to buy a newer car in the first place, but I have learned so much along the way and I know the car inside and out. 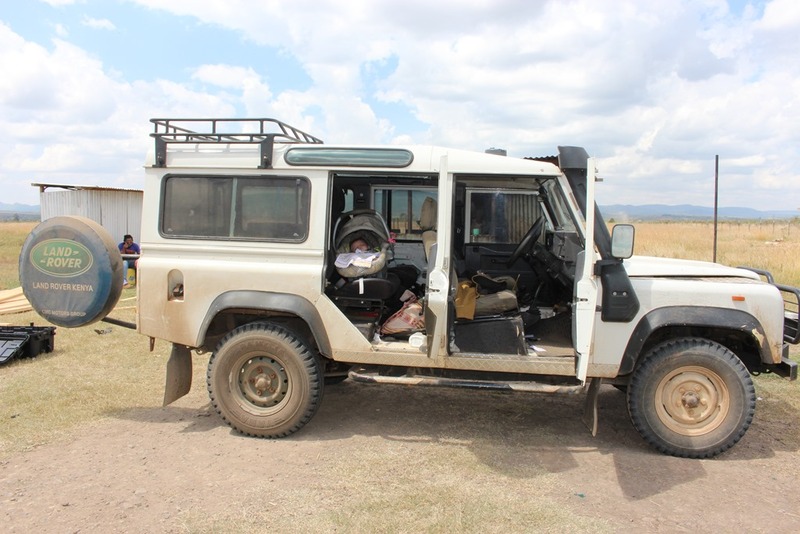 Update: It is now mid March and I am finally back in Nanyuki with the vehicle. They put the new cylinder head and the engine is running very smooth. We haven’t been able to find a new turbo yet, but I am meeting with someone after the weekend who says he can import one for a reasonable price. The clutch went out on me because the new release bearing was defective. The only brand readily available is brit parts and I have read mixed reviews on their quality. It is back up and going but another $100 down the drain. The power steering was fixed but has stopped again. May need a new pump but they run $500. Overall, I am just happy to have something to drive. It has been a long road, but I can’t help but be optimistic. There is not much more that can go wrong. Your adventure with this truck verges on comical. Your optimism is very encouraging. 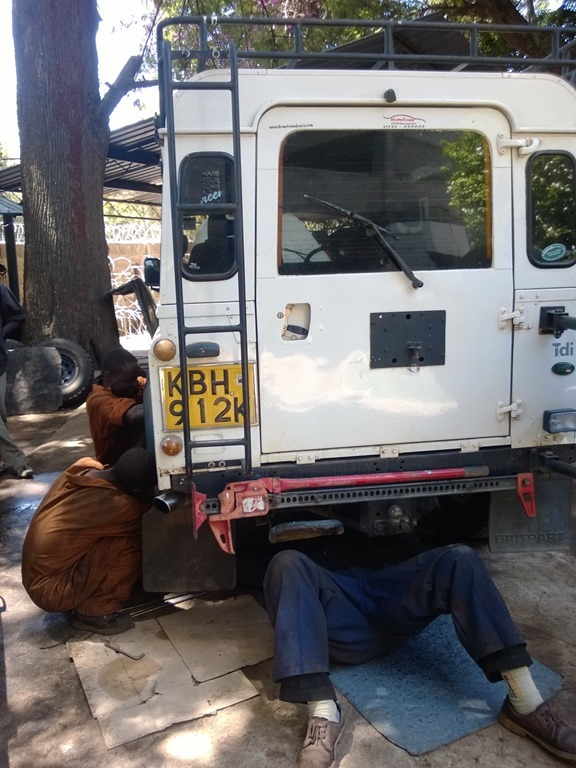 I recall this truck being one of the reasons you were coming to Nairobi in October, when we were in country, which allowed for us to meet, and for you to travel to Laisamis with us. I thank God for your crazy truck for that reason, but pray that things settle down to allow you to focus more on your new baby and your ministry.